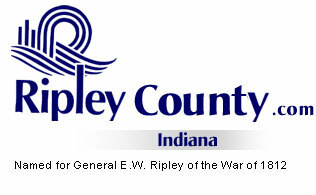 The Ripley County Council met on Tuesday, September 19th, 2006 at the Ripley County Annex in Versailles, Indiana. Donald Dunbar, Council President called the meeting to order promptly at 7:00PM with the pledge of allegiance to the flag. Council Members Don Dunbar, David Simon, Edward Armbrecht, Ben Peetz, Dephane Smith and Mark Busching were present. William Dramann was not present. Neil Comer, Attorney, was present to advise the council on legal matter. Council Member Armbrecht made a motion to approve the minutes after corrections from the August 15th, 2006 Council meeting & September 6th, 7th & 8th , 2006 Budget Hearings seconded by Council Member Smith. Motion approved those present. (Dunbar, Simon, Smith, Armbrecht, Busching & Peetz) Dramann was not present. Council Member Smith made a motion to approve addition appropriation of $5,000 from Fund # 331-29560-000-331 PHN Operating Supplies seconded by Council Member Armbrecht. Motion approved unanimously. Council Member Peetz made a motion to approve addition appropriation of $8,500 from Fund # 331-29571-000-331 EHS Public Information seconded by Council Member Simon. Motion approved unanimously. Council Member Smith made a motion to approve additional appropriation of $2,000 from Fund #331-32901-000-331 Advertising seconded by Council Member Simon. Motion approved unanimously. Council Member Smith made a motion to approve additional appropriation of $1,500 from Fund #245-29572-000-037 PHN Public Information, $1,258.98 from Fund #245-29571-000-037 EHS Public Information, $600.00 from Fund #245-34802-000-037 Travel Expense and $10,000 from Fund # 245-29560-000-037 PHN Operating Supplies seconded by Council Member Simon. Motion approved unanimously. Council Member Armbrecht made a motion to approve the transfer for the Ripley County Department of Parks & Recreation of $2,000 from Fund #425-11350-000-050 Caretaker to Fund #425-36103-000-050 Repair & Maintenance for Park & Recreation seconded by Council Member Simon. Motion approved unanimously. Irvin Harmeyer, Soil & Water presented a request for title change in personal services from District Administrator Treasurer to Department Head Treasurer. Council Member Armbrecht questioned if this was a change in title only or a change in title & additional money. Harmeyer advised that it would be a change in both title & money. Armbrecht advised that the council had received several requests from the department heads for changes and none was given, by the end of 2007 our county should be in sound financial condition and than maybe the council can start looking at this. Council Member Peetz advised that the council had approximately 6/7 department heads that had requested changes and that the council would like to look at the departments and compare to other counties before next year’s budget. Council President Dunbar advised those present that this is a budget hearing for the 2007 budget. Auditor McCoy advised the council that the EDIT budget needed to be approved for the year of 2007. EDIT Plan for Economic Development for 2007/2008 and that the commissioners will help with the roads for the new Economic Development. Reiners advised that the highway had experienced a rise in cost for fuel & bituminous for the past year and hoped that the council would approve the EDIT Plan that they have signed. Reiners also advised that they felt that the $200,000 is a sizable amount to commit for two years to Economic Development and that they have a need for this money at the highway department to keep the road in shape. Council Member Busching questioned what the commissioners would have done if they hadn’t gotten the Major Moves money. Council Member Armbrecht advised that it is not the council’s money to spend and advised that once you have an appropriation you can spend the money. Armbrecht advised that his priority is to put $450,000 in an Economic Development Project fund for the years of 2007/2008. Armbrecht also advised that the commissioners are only giving up $38,000 if they put $450,000 in the Economic Development fund and this is his number one priority. Council Member Simon had no response. Council Member Peetz commended that if we attack more business that we will generate more EDIT Tax for the county and that we need to have something ready for businesses that may come to the county. Council Member Smith advised that if the money is in one account or another, I think we should accept what is here and quit bickering over who is going to have the say of the dollar. Smith stated that she thought that we are all in agreement that we will move forward with projects that may come to the county. Commissioner Reiners advised that they will do everything they can to help the people in the county and asked that the council trust the Commissioners/Highway department to not over spent and we hope to stay close to our 2005 levels. Attorney Comer advise that the commissioners submitted $5,000 Legal Council, $113,908 Economic Development, Stone $150,000, Bitumiunons $450,000, Ripley County Park/Fairgrounds $20,000 and Tourism $40,000 making a total of $778,908 for the EDIT Budget. Council approved -0- Legal Council, $113,908 Economic Development, -0- Stone, -0- Bitumiunons, $20,000 Ripley County Park/Fairgrounds, $45,000 Tourism and new line item $450,000 Economic Development Projects. Council Member Armbrecht made a motion to adopt the EDIT Budget with the A. Economic Development $113,908 B. Ripley County Park/Fairgrounds $20,000 C. Tourism $45,000 D. Economic Development Projects $450,000 E. Stone & Bituminous $150,000 (total of $778,908) seconded by Council Member Busching. Motion approved unanimously. Council Member Smith made a motion to adopt the tax rates and budgets as amended by council for 2007 seconded by Council Member Peetz. Motion approved unanimously. Council Member Armbrecht made a motion to adopt the Salary Ordinance for 2007 seconded by Council Member Smith. Motion approved unanimously. Economic Development-Edward Armbrecht - meeting on Wednesday, September 20th, 2006. Grants Committee-Donald Dunbar-Grant for Book Maps for the county. Solid Waste District-Donald Dunbar-Solid Waste may be expanding. Council Member Peetz made a motion to adjourn until the next regular meeting on Tuesday, Oct. 17th, 2006 @ 7:00PM seconded by Council Member Simon. Motion approved unanimously.